A city-wide poster campaign, featuring images and words relating to mental health, is to be unleashed on the streets of Dundee next month. 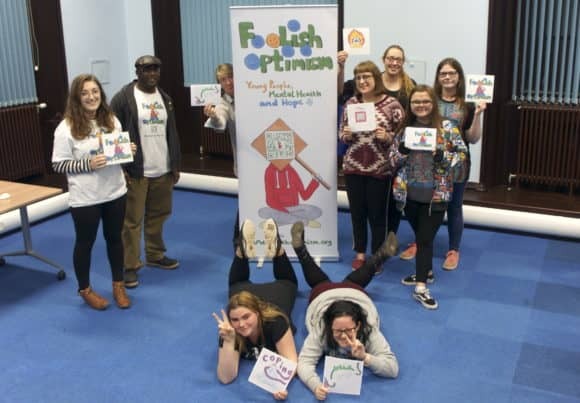 As part of the ‘Foolish Optimism’ roadshow, two young women are taking art workshops out into the community, encouraging a range of different groups to talk about, and document, their mental health stories. Last night, Wednesday 24 Octoer 2018, they held their first two-day session with Girls’ Group at Arthurstone Library. After watching short clips of the Foolish Optimism film, audiences will be asked to consider its messages and jot down their own interpretation and perspectives on mental health issues, whether in words or images. Messages collected from a diverse range of audiences will then be transformed into posters, some of which will be billboard size, and diplayed around the city from mid-November until mid-December. The posters will also feature QR codes, linking people directly to the Foolish Optimism website. The workshops, and national roadshow, follow on from the release of the film which premiered at The Steps Theartre in Dundee on World Mental Health Day, Wednesday 10 October 2018. 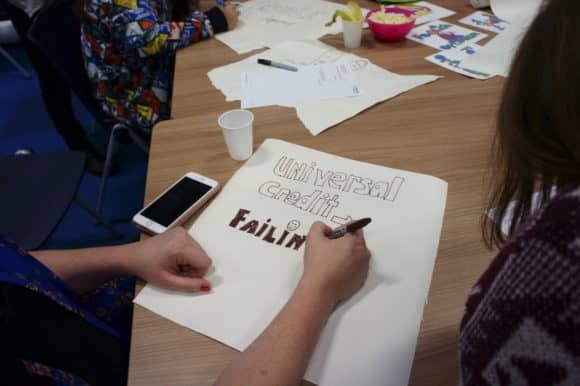 Jacqueline Goodall (20), a third year Fine Art student at Duncan of Jordanstone College of Art and Design (DJCAD) is organising the workshops in conjunction with Jacqueline Whymark, social entrepreneur, project manager, community organiser and arts curator. All work created in the workshops will be maximised – if not on the posters themselves, through exhibitions, during the Foolish Optimism finale event in December and fed into the final Foolish Optimism report which will be fed into a number of reviews now taking place across the country. Subject to funding, it is hoped that the poster campaign will extend to Perth and Glasgow.